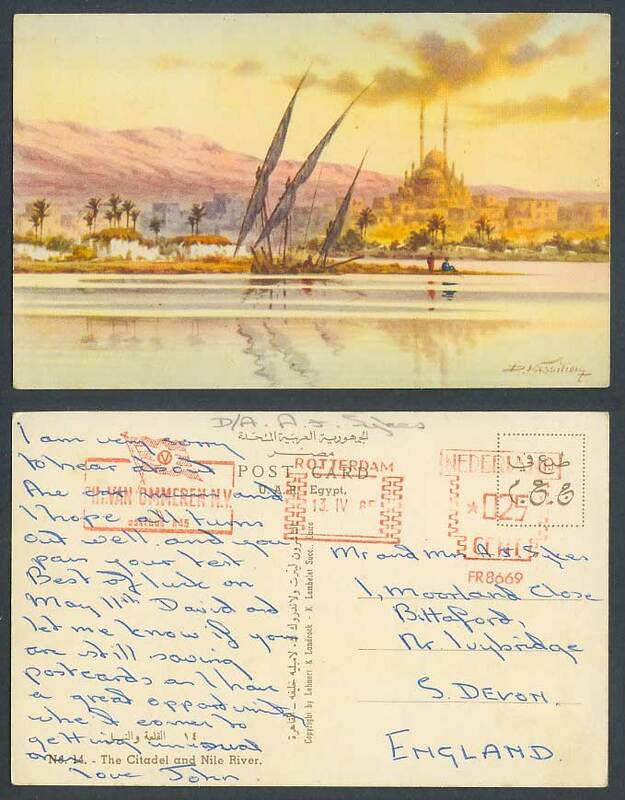 Vintage Egyptian Old Colour Postcard. Africa Egypte Egypt. Artist Signed by D. Vassiliou. Le Caire Cairo. The Citadel Citadelle, and Nil Nile River Scene, Native Sailing Boat. Panorama. Postally Used with Red Meter Mark, Meter Marks, Nederland 025 Cent FR 8669. Rotterdam 13. IV 65. Flag. PHs. Van Ommeren N.V. Postbus B45.